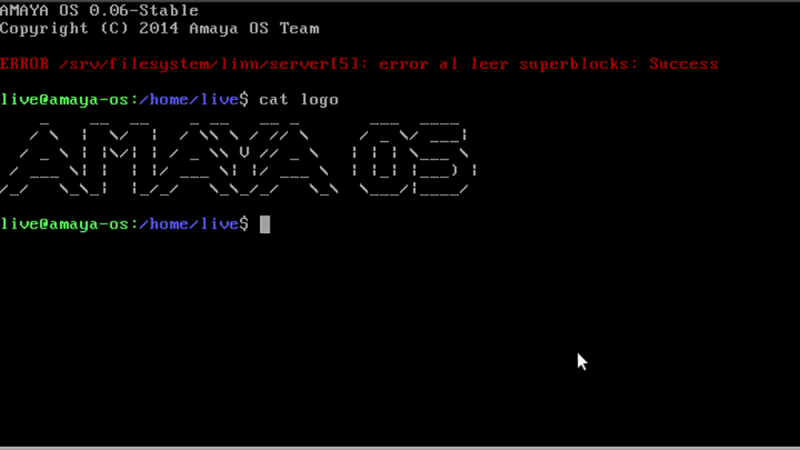 AmayaOS – A new Unix-like OS is now on Pling! 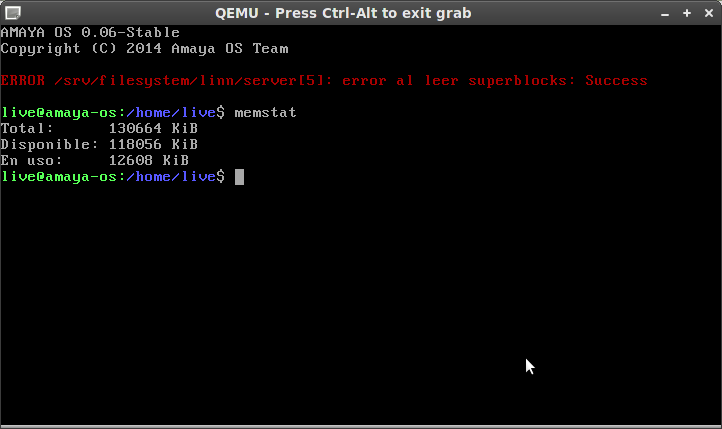 Based on the FreeNOS Kernel, AmayaOS is a Unix-like microkernel-based operating system written in C++ that aspires to become a full-fledged and efficient system for old or underpowered hardware. The project, started by 14-year old programmer Daniel MartÃ­n, counts on a crew of enthusiastic developers located mainly in Spain, Mexico, Colombia and Venezuela. This group of young people is hell-bent on creating the next great thing in operating systems. Although still in the very early stages of development, the team is already implementing basic command line functions and applications, such as WAMA, an Emacs-like, text-based editor; many low level commands for filesystem management; a calculator; and much more. It’s quite obvious they will not take long in starting to implement a graphic interface. AmayaOS is an excellent place to begin learning about operating systems and the project is still young enough for any budding programmer to join and make a difference. So, if this is your kind of thing, get in touch with the AmayaOS team now. Even if you don’t code, you can donate and help grow the project on Pling. 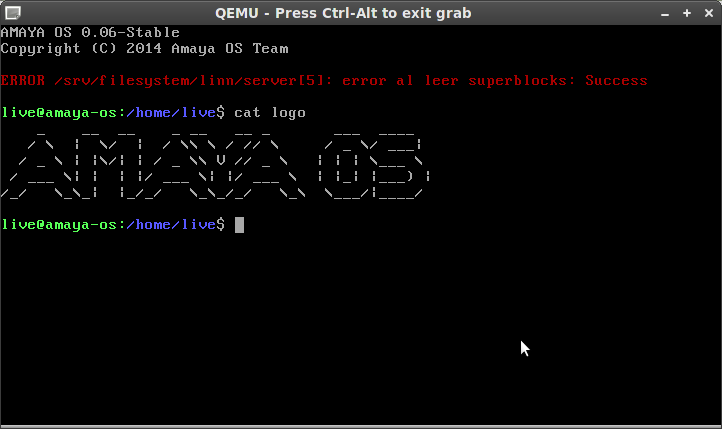 AmayaOS is distributed under the GPL v3 license and can be downloaded from SourceForge.